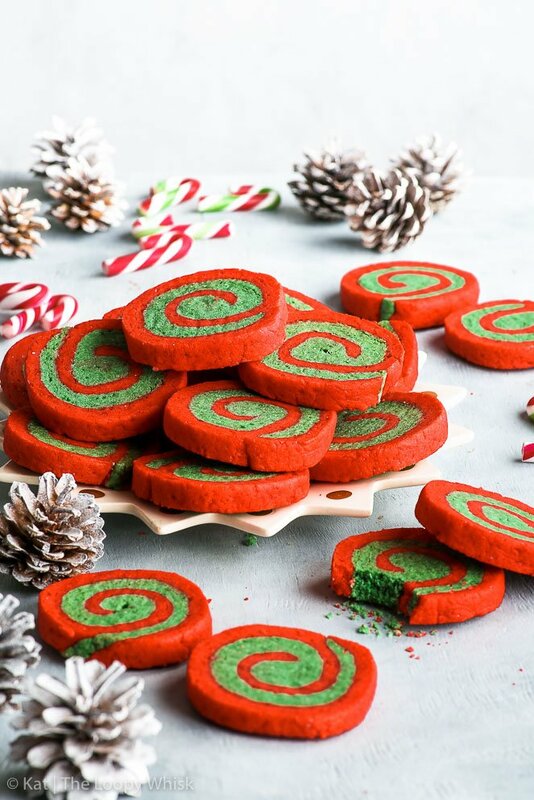 Fun, quirky and adorable, these gluten free Christmas pinwheel cookies are bound to become a holiday favourite. 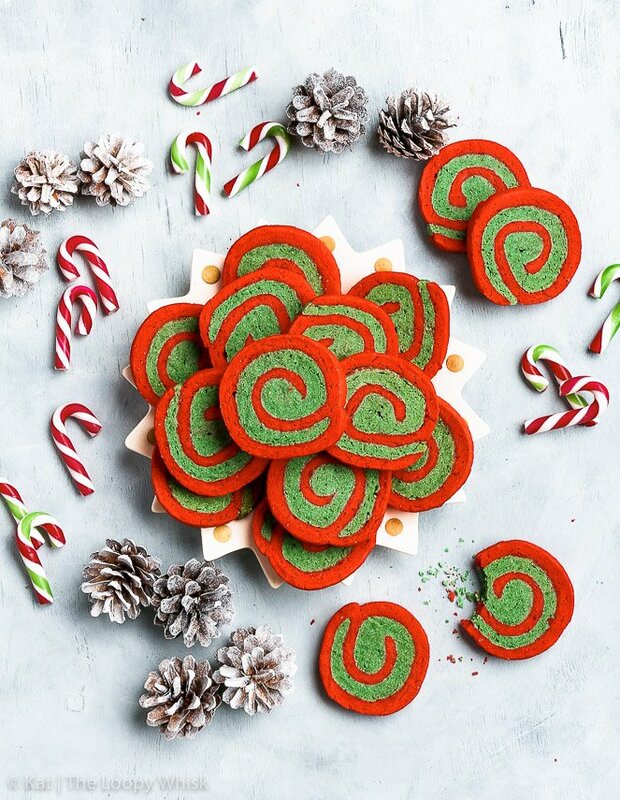 And what’s even better, these tasty (and ridiculously pretty) Christmas cookies are also super easy to make! 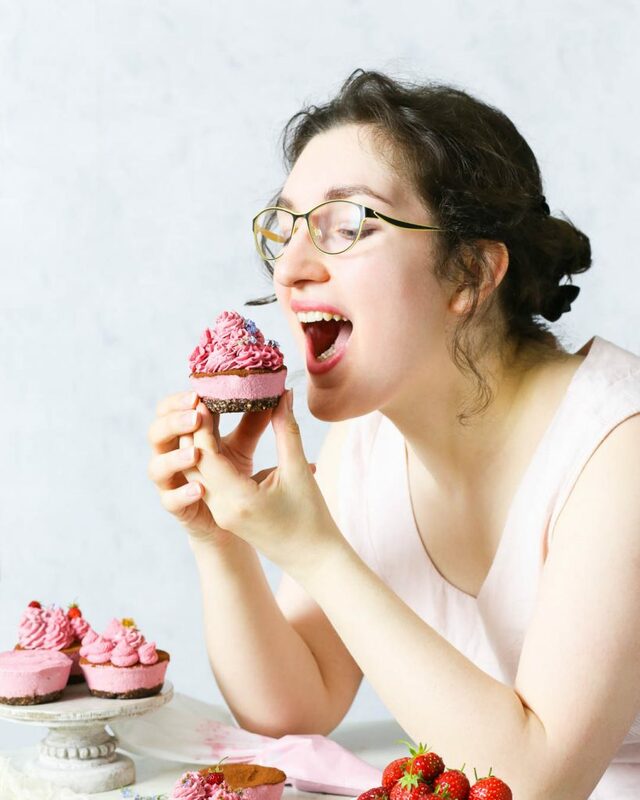 Now, I’m sure we all agree that merely throwing some red and green sprinkles at some unsuspecting cookie cough does not a Christmas cookie make. Yeah? Yeah. 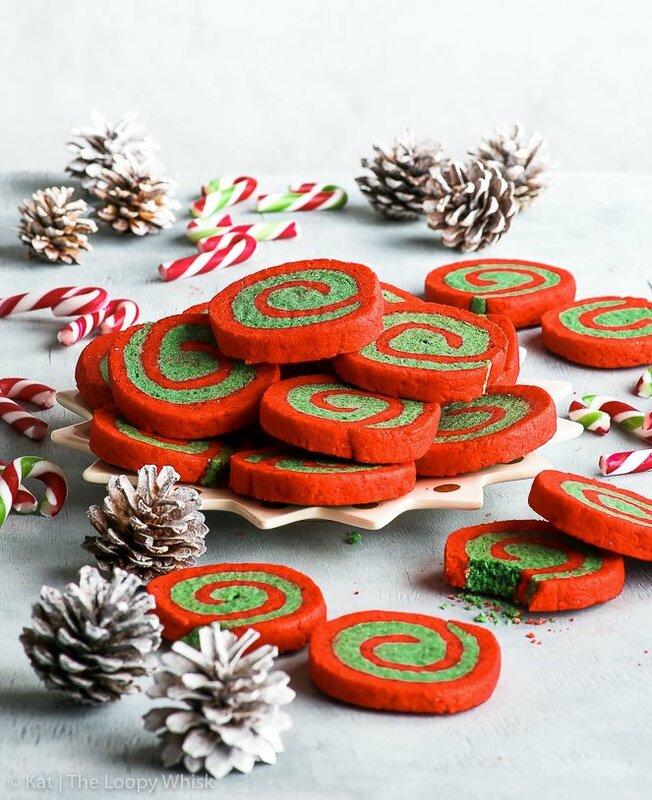 So, because Christmas is serious business and because we’re totally badass cookie makers, we’ll go all the way and make these red and green Christmas pinwheel cookies. Gluten free, of course. And if we use the colours a bit over-enthusiastically, and the pinwheel cookies look a bit intense (a.k.a. borderline psychedelic) – that’s totally okay too. Christmas doesn’t have to bee all cutesy and adorable and picture perfect all the time, right? 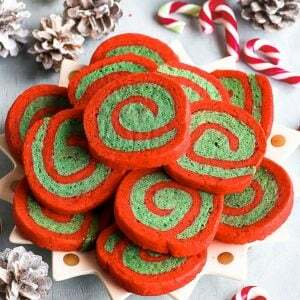 And “psychedelic hypnosis-inducing Christmas pinwheel cookies” has such a nice ring to it, doesn’t it? 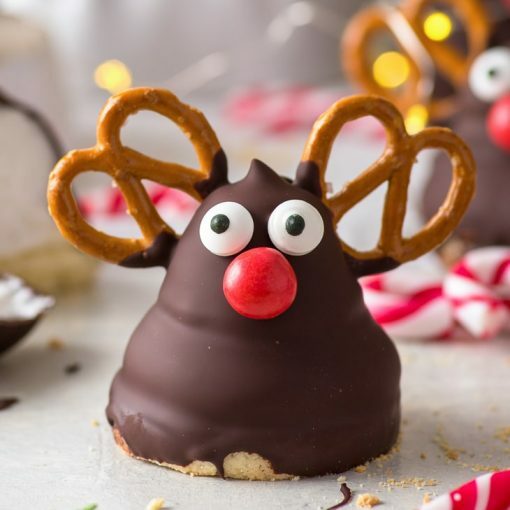 Okay, all joking aside, these Christmas cookies are a real winner. Seriously, if they don’t get you into the Christmas spirit, then I don’t know what will. 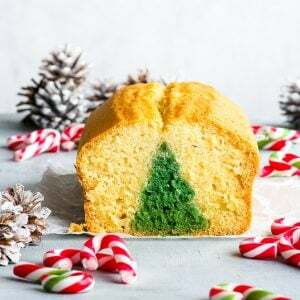 Just as with the surprise inside Christmas tree cake, this recipe looks much more complicated than it actually is. In fact, it’s so easy that I didn’t even bother taking step-by-step pictures. It’s so easy I can sum it up in one sentence. Ready? You make plain cookie dough, colour one half red and the other green, roll out each half into a rectangle, place the two rectangles one on top of each other, roll it up into a “cookie dough sausage”, slice and bake. 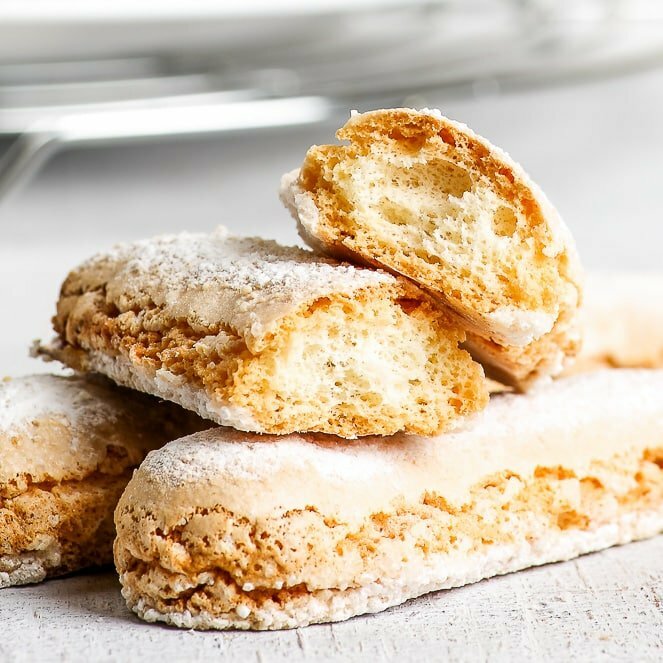 When it comes to the taste and texture, the cookies are sweet, buttery and slightly crumbly, in that deliciously decadent way. You could easily add a pinch of cinnamon or orange zest to the cookie dough, but I went with the tried and trusted – vanilla, which makes the cookies taste and smell absolutely amazing. And… that’s really all there is to it. 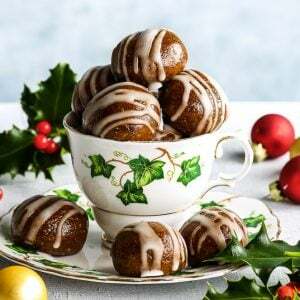 These Christmas pinwheel cookies are another one of those fuss-free recipes that can ensure fun, relaxed and stress-free holidays. And they are the perfect colourful treat to attempt with kids! On a final note (and this is important): if you decide to knead the cookie dough or even just touch it… please wear gloves. No, don’t roll your eyes. I mean it. It’s may be initially fun having Grinch-green hands, but when the colour doesn’t go away after five (or ten) washes… you know you’re in trouble. So don’t be a Grinch, and wear some gloves. 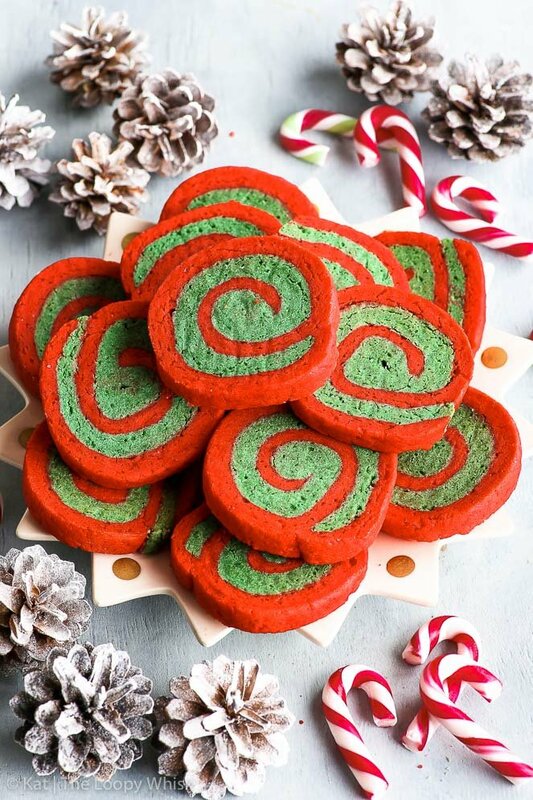 Fun, quirky and adorable, these gluten free Christmas pinwheel cookies are bound to become a holiday favourite. And what’s even better, these tasty (and ridiculously pretty) Christmas cookies are also super easy to make! NOTE: The prep time doesn't include refrigeration/freezing time. In a bowl, cream together the butter, sugar and vanilla extract. Sift together the gluten free flour, xanthan gum and salt, and add the dry ingredients to the butter mixture. 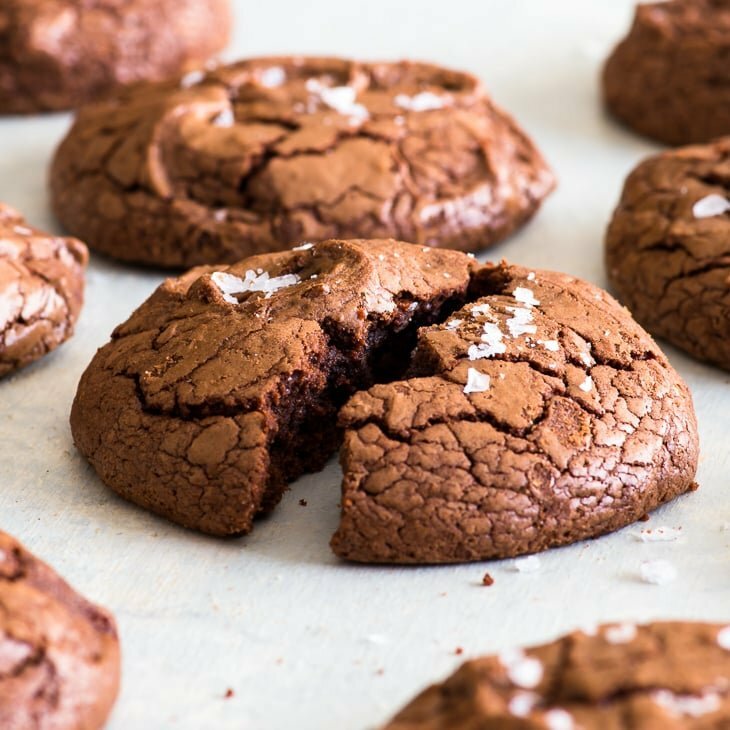 Mix well until you get a smooth cookie dough with no flour clumps. Divide the cookie dough into half. Colour one half of the cookie dough with the red food colouring, and the other with green food colouring. Wrap the coloured cookie dough into cling film and refrigerate for at least 1 hour. Roll out the two pieces of cookie dough into two rectangles, each roughly the size of an A4 paper (8 1/2 x 12 inch or 21 x 30 cm). They should be of equal size, shape and thickness (about 4 - 5 mm). Place one rectangle on top of the other and quickly roll over the combined rectangle with the rolling pin. This will ensure that the two cookie dough rectangles are firmly stuck together. Roll up the combined rectangle along the short side, so that you end up with a "cookie dough sausage" about 12 inches/30 cm long. Wrap the "cookie dough sausage" in cling film and freeze it for about 1/2 hour. Cut the frozen "cookie dough sausage" into cookies, each cookie being about 1 cm (1/3 inch) thick. Place the cookies on the lined baking sheet, leaving about 1 inch/2.5 cm between the cookies. Bake in the pre-heated oven at 355 ºF (180 ºC) for about 15 minutes. 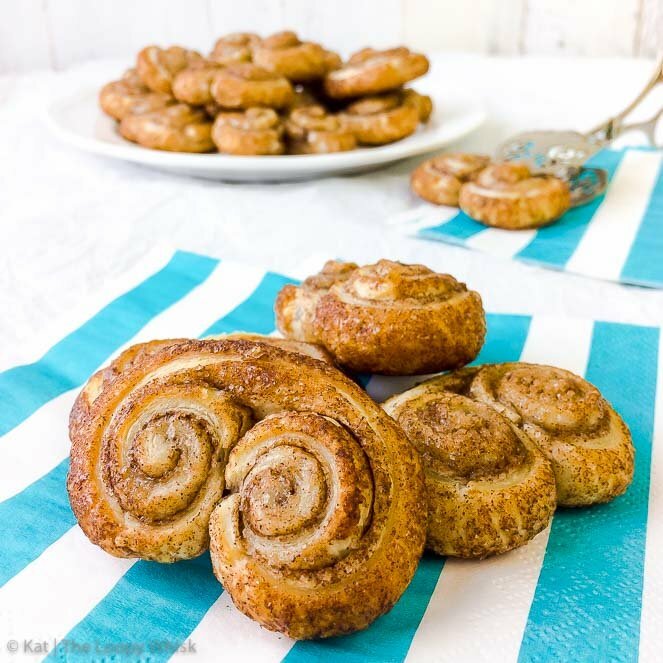 The gluten free Christmas pinwheel cookies keep well in a closed container in a cool dry place for about 1 week. Note 1: The amount of red and green food colouring used depends on the type of food colouring used. A food colour gel will require a smaller amount, a liquid food colouring a larger amount. Add the colouring bit by bit, until you reach the Christmassy red and green colours. NOTE: I recommend using gloves when handling the cookie dough. Food colouring can be a pain to wash off. 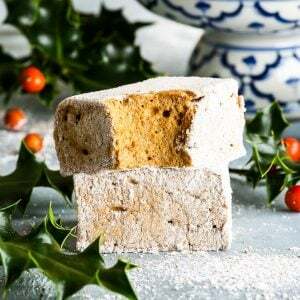 Looking for more gluten free Christmas recipes? Look no further!